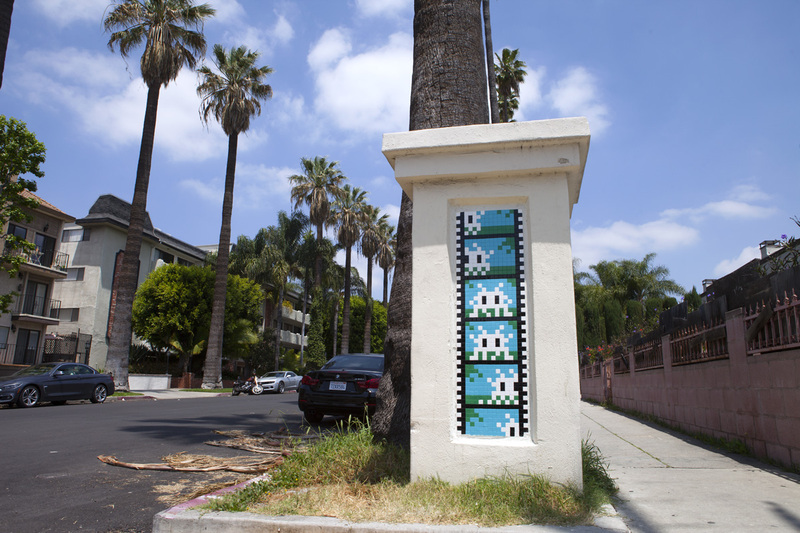 A French street artist known only as ‘Invader’ just got done dropping over a dozen new mosaic tile installations all over Los Angeles while in town for the group show Beyond the Streets. 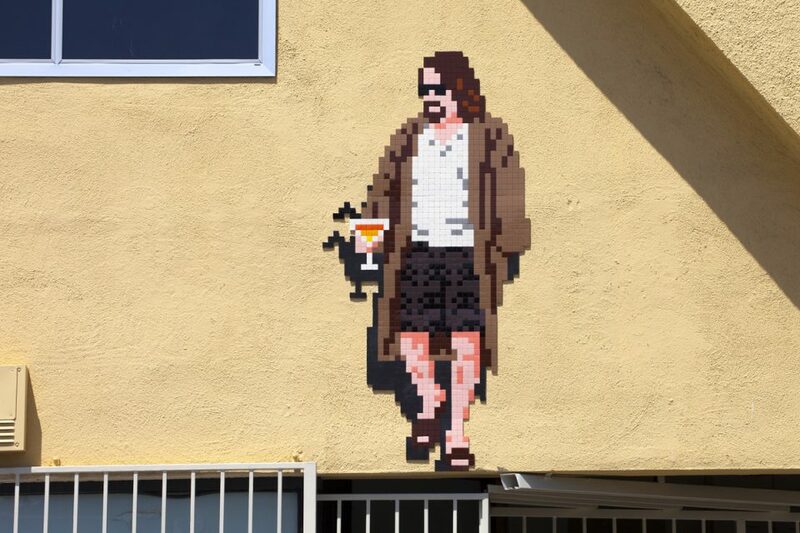 The best one might just be a portrait of The Dude himself, the eponymous figure from the cult film The Big Lebowski, standing outside a bowling alley with a cocktail in hand. 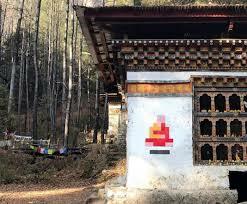 Others are modeled after characters from the 8-bit video game Space Invaders, which the artist has left in over 30 countries over the past two decades. 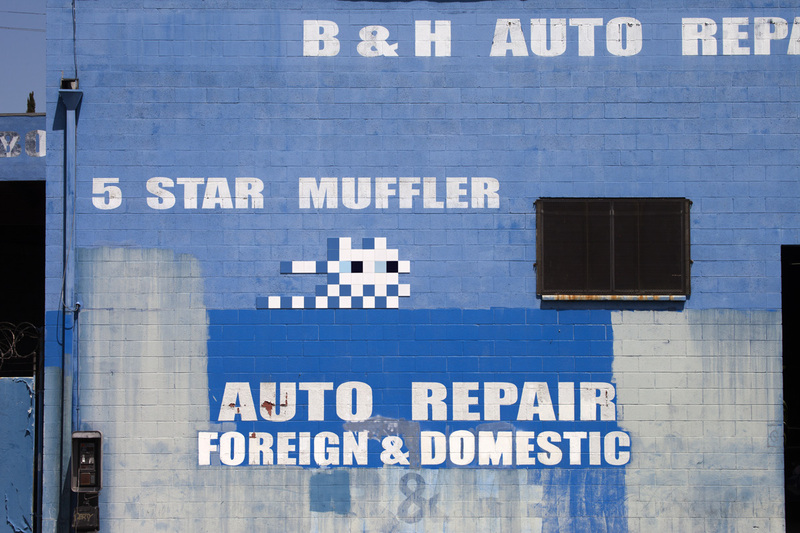 Invader chooses his target cities, scopes out the locations for his installations in advance and preps them as much as possible before putting them up. 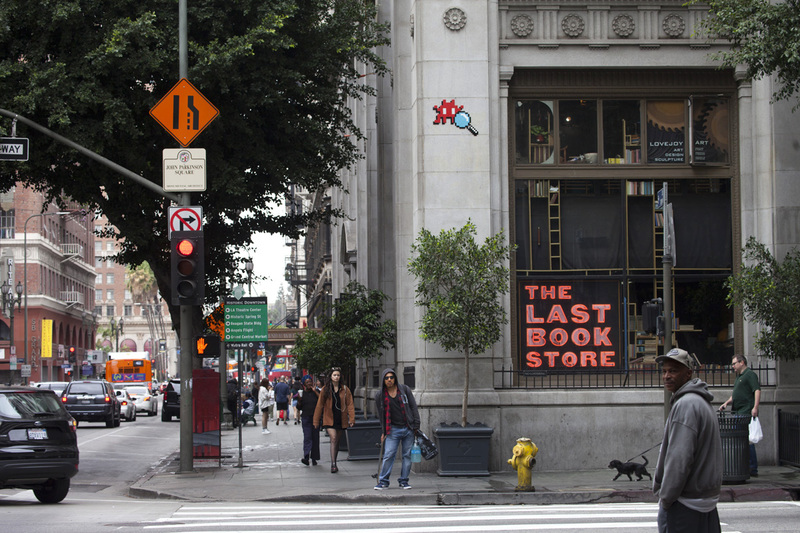 The oldest ones can be found in Paris, but if you want an idea of just how prolific Invader has been over the years, check out the interactive map on his website. 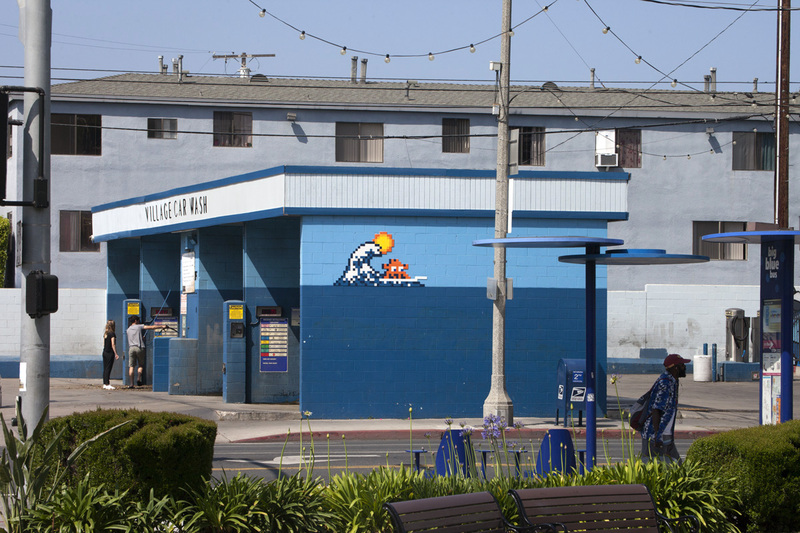 The mosaics are relatively small and often quite discreet, occasionally blending into the color schemes of their environments. He doesn’t typically get permission to put them up, but they’re so charming, it’s easy to see why they can remain in place for so long. 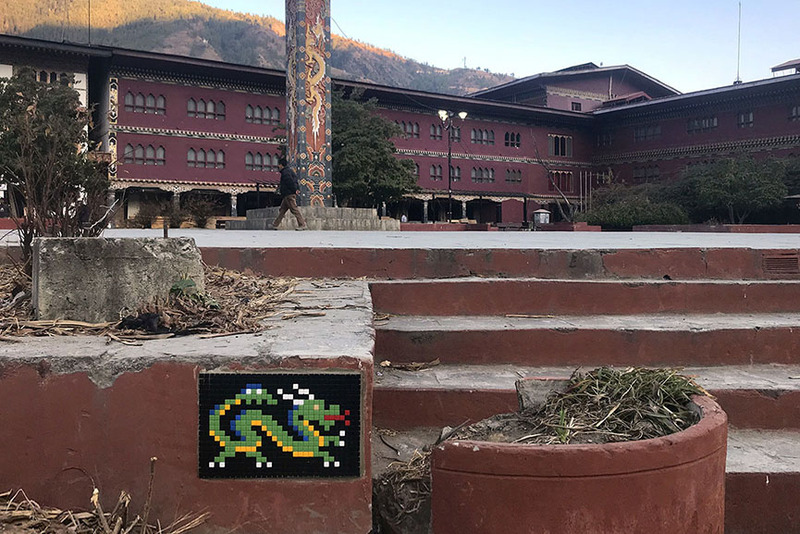 Invader’s choices for placement have sometimes been controversial, however – in January 2018, he came under fire for installing a few in sacred Buddhist temples of Bhutan. The government ultimately removed them. 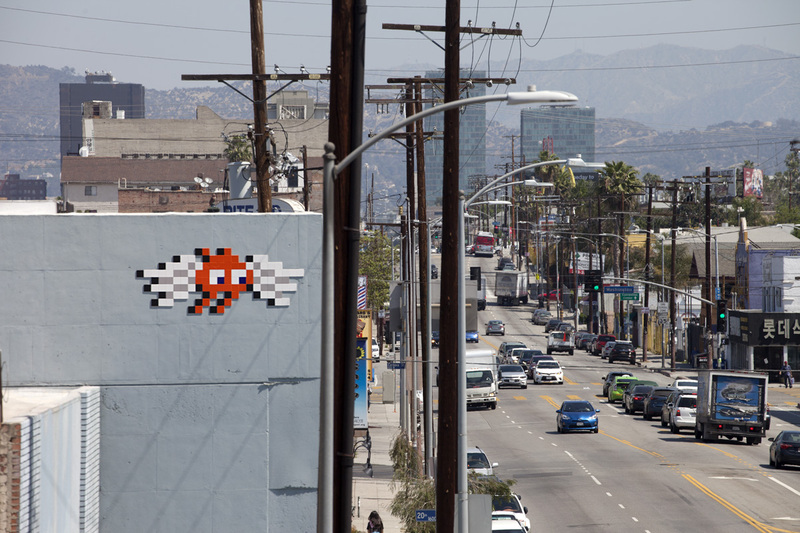 Scope the whole gallery of recent Los Angeles pieces, or head over to Invader’s Instagram to keep up with the works as they’re completed.